Terre Haute, Ind. 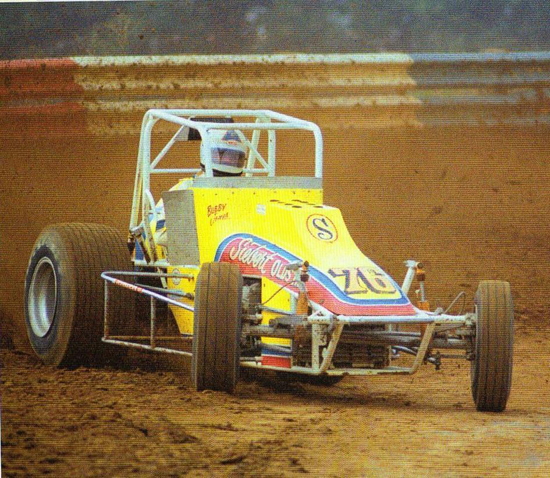 (June 3, 1979) – Celebrating his birthday two days early, Bubby Jones put the icing on his cake at the Terre Haute Action Track, by scoring his second USAC sprint car feature win in less than 24 hours on Sunday. It was the fifth dirt track win of the year for the Jim McQueen-Siebert Olds race team and increased Jones’ lead over Billy Cassella to 50 points in their battle for the division’s point crown. 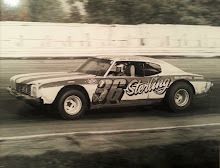 Jones started the main event from the outside of row one, but polesitter Greg Leffler put his Armstrong Mould racer into the lead on the green. Jones got around Leffler by going low on the backstretch on lap 2, but a yellow flag negated the change and returned Jones back to second position. 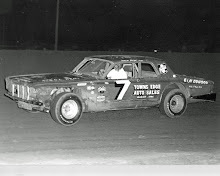 Pancho Carter, the day’s third fastest qualifier, went high on the cushion on the restart and charged past Jones between turns one and two and then did likewise to Leffler between turns three and four to take the lead. Running high and hard, Carter kept his McCord Auto Supply/Dobbins Chevy in front through lap 13 when a torsion support broke. 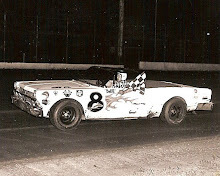 As Carter got sideways, Jones, who had passed Leffler on the third go-round, slipped into the lead in turn four and was never headed after that. 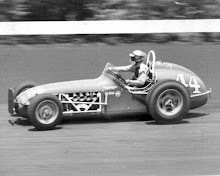 While Carter tried valiantly to catch Jones, despite having a crippled racer, Sheldon Kinser began moving from his seventh starting position. 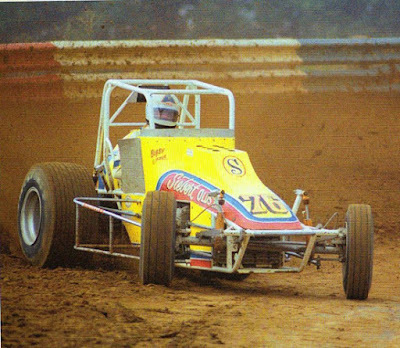 The 1977 national sprint king battled past Gary Bettenhausen on the 16th circuit and then staged a five-lap duel with Leffler before passing him for third place. 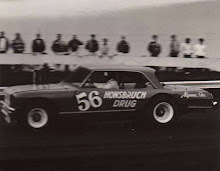 However, Kinser could come no close than a few car lengths of Carter the rest of the way. At the checkered flag, it was Jones followed by Carter, Kinser, Cassella, who staged a late-race surge in his Seymour Enterprises Special, to get around Leffler. Leffler wound up fifth with Bettenhausen in sixth. Larry Rice, Joe Saldana, Rich Vogler amd Roy Hicks won heat races and Gary Bettenhausen led all the way to capture the semi-main.